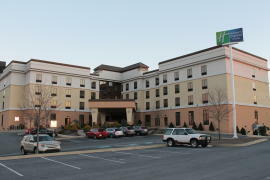 Our modern hotel is located just minutes outside Harrisburg and Hershey on the west shore. Spacious guest rooms sleep up to 8 travelers. Start your day with a complimentary hot breakfast, enjoy our heated indoor pool and well equipped fitness center. We have meeting rooms to accommodate up to 100 people and an underground parking garage. Get 15% off our best availabe rate. Not valid with other discounts or during special events.